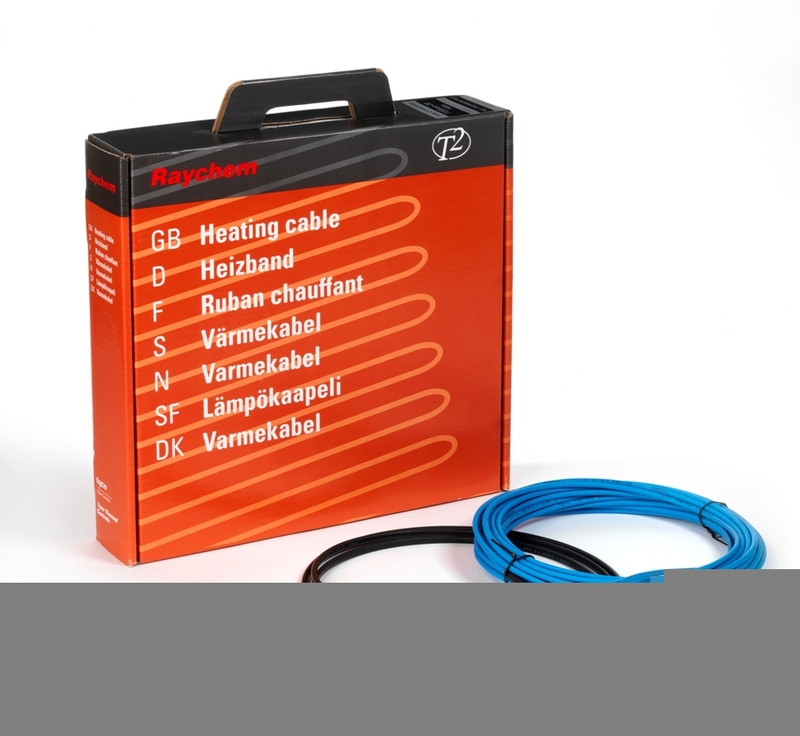 Raychem T2 Blue cable kit & accessories. Please allow 1-5 working days delivery. SKU: 1244-002603. 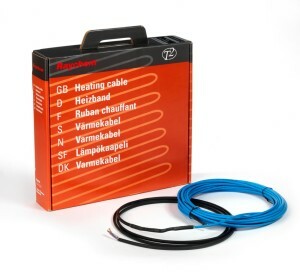 Category: Underfloor Heating Cables. Raychem T2 Blue . Return to Product Shop. Raychem T2 Blue. The flexible underfloor heating cable. Raychem T2 Blue 10W constant wattage cable with electrically protective covering. 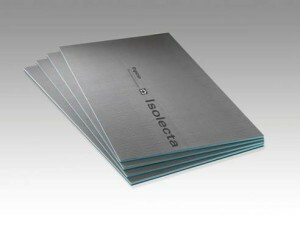 Suitable for installation directly in a levelling compound, screed or concrete. Heating cable with pre-fabricated power cable. Ideal for complex floor layouts. Power output flexibility by varying the distance between heating cables. New construction – good installation. 35W/m2 – 60W/m2. Old building renovation – good installation. 60W/m2 – 100W/m2. Old building renovation – less well insulated. 125W/m2 – 150W/m2. Determine the room area in m2. e.g. 13.5m2. Determine the (free) area in m2 to be heated. e.g. 10m2. Select the total power output required for the area in W e.g. 1,200W. Calculate the power per square metre: e.g. 1,200W/10m2 = 120W/m2. Select the product with the nearest total power from the table below. e.g. 121m= 1.215W/230V (121W/m2). 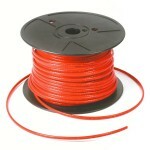 Define the heating cable spacing: 10m2/121m heating cable length = 0.08m (approx. 82mm). Hot glue rods: 70 pcs. in 1 box. Hot glue rods: 10 pcs. in 1 bag. TF Kit: Sensor installation pipe and sensor end plug for Raychem thermostat. T2 Blue repair kit: Repair and extension kit for T2 Blue. All accessories are available to order with the Raychem T2 Blue cable by using the drop down box above.